The smoke and mirrors of modern financial innovation frequently makes the connection between assets and liabilities difficult to discern. Much of the commercial activity of modern finance, and the conduct of monetary policy, is concerned with managing perceptions of the underlying realities. Last week, I reiterated the immutable foundation of double-entry bookkeeping. For every financial asset there is a corresponding financial liability. 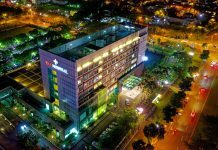 But it may not be obvious on whom the corresponding financial liability falls. The perceptions and misperceptions that result may have large economic effects. 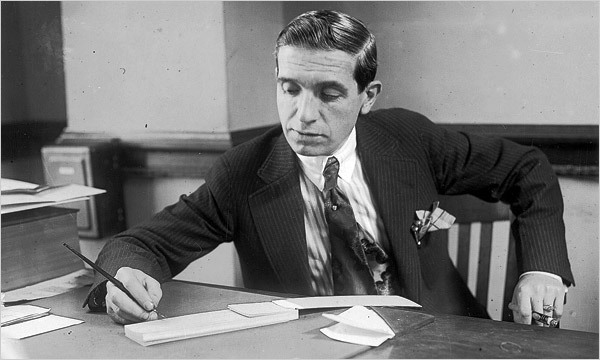 The Ponzi scheme is named after Charles Ponzi, an Italian-American fraudster who spotted a profitable arbitrage opportunity; the purchase and resale of international reply coupons issued by the post offices of different countries. But when the supply of coupons proved insufficient to meet the demands of his avaricious followers, he paid off early investors with the receipts from more recent ones. Ponzi was certainly not the inventor of this device; but, until 2008 when Bernard Madoff confessed to the largest fraud in history, Ponzi was one of the most successful. For a time: Both Ponzi and Madoff ended their careers in federal penitentiaries. Ponzi schemes illustrate what JK Galbraith described as ‘the bezzle’ – the transitory addition to global wealth experienced when money has been embezzled but the victim has not yet discovered the loss. Ponzi schemes do not refute the laws of double-entry bookkeeping – every asset is matched by a liability. But the liability is as yet undiscovered. Madoff, Ponzi, their fellow criminals – and the lucky investors who got out in time – are enjoying the proceeds of their theft, while deluded investors believe their holdings have the value the fraudsters attribute to them. So a successful pyramid scheme is likely to lead to a temporary boost to consumption. In the 1990s Albanians celebrated their return to capitalism with a proliferation of Ponzi schemes. The Albanian economy experienced a spectacular boom and bust. Two thousand people died in the ensuing riots and the government fell. But the Albanian misunderstanding of the nature of productive capitalism was soon repeated in countries with rather more experience of the doctrine. In 2000 Charlie Munger, Warren Buffett’s partner, described the ‘febezzle’, or ‘functionally equivalent bezzle’. Prompted by the New Economy bubble, which had just burst, Munger described what had been a legal Ponzi scheme. In generalising the phenomenon as a feature of a modern market economy, Munger anticipated the boom in collateralised debt obligations based on residential mortgage backed securities that would be at the centre of the 2008 global financial crisis. In both episodes asset prices were pushed to levels which could not be sustained by economic fundamentals, and the imaginary wealth funded the excesses of the early dotcom millionaires and the bonuses of the bankers who created fanciful financial instruments. But, in line with the principle of double entry bookkeeping, fundamentals eventually reasserted themselves. The cocktails and yachts were paid for by the pensioners whose funds lost value in the dotcom collapse, by the taxpayers who bailed out financial institutions in 2008, and by the bank shareholders who lost most of their investment. Follow the money – for every credit there is somewhere a debit, even if the trail may be long, winding and overgrown. Who will meet the liabilities implicit in the many low quality assets now on the balance sheet of the European Central Bank? In principle, the deficit falls pro rata on the Bank’s shareholders – the member states of the Eurozone. (Assuming, almost certainly correctly, that these states will not allow, or will (literally) paper over, the Bank’s potential insolvency.) But it is safe to say that no government is properly factoring such indebtedness in its fiscal calculation, and even more certain that no household is adjusting its current consumption to reflect the prospective liability. The smoke and mirrors of modern financial innovation frequently makes the connection between assets and liabilities difficult to discern. The claim that economic agents always perceive underlying realities has become known as ‘Ricardian equivalence’ (at least as far as government borrowing is concerned), and is the basis of a claim that fiscal stimulus is necessarily ineffective; future taxpayers will recognise the prospective liabilities government borrowing imposes on them, and adjust their consumption accordingly. That there is some effect of this kind is clearly plausible: That households and firms actually hold such rational expectations, or act as if they do, utterly implausible. 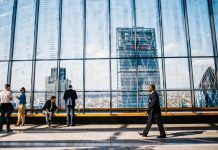 Perceptions matter: indeed much of the commercial activity of modern finance, and the conduct of monetary policy, is concerned with managing such perceptions. How policies are described may make a lot of difference. And because beliefs and perceptions matter, the effectiveness of policies is an empirical question whose answers are likely to be situation and context specific. It is disappointing that so much of modern monetary economics seeks to deduce answers from a priori reasoning rather than observation. Photo: Charles Ponzi working in his Boston office, 1920.